How Does Financing and the Payment Schedule Work For a Custom Build? Any time we’re making a purchase of this magnitude, we want to be very confident about how the money end of things is going to work. Let’s start with the payment schedule. Before we take any deposits from our clients, we like to spend some time getting to know what your wants and needs are so we can put together a budget estimation for your future build. This estimate will be based on the information you’ve provided, such as, size, types of finishes, location and complexity. The purpose of this budget estimation is to ensure that what we’ll be designing will fit your budget. We often meet with clients who have spent thousands of dollars on complete engineered blueprints, only to find out the cost to build that particular blueprint is way outside their budget. 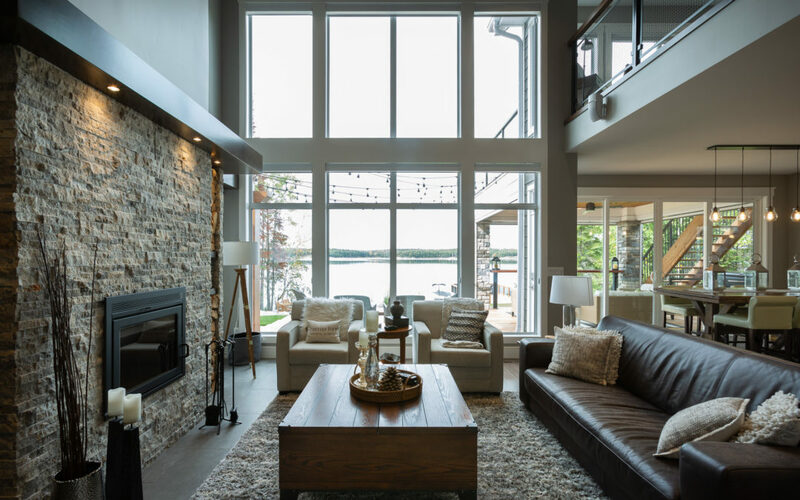 Once we’ve put together the budget pricing and you’re comfortable with where the costs will end up, we take a $2,500 deposit to start designing your custom dream home or cottage. This design will be unique to you as we never build the same home twice. If you already have an engineered plan, we can skip the design process and move straight to providing you with a full quote to complete your build. When the design is complete, we then put together a full quote which outlines the exact costs of the build. Once you’ve accepted the quote, we create a contract for the build based on that value and take a 10% down payment on the contract value. The plan will then be submitted for permits. Now for part 2. What type type of mortgage do I get and how do the payments work with my bank? The type of mortgage you will need is called a builders mortgage. While the exact parameters will vary slightly depending on the financial institution, the process is the same. Visit your financial institution to ask any questions you may have and get a pre approval (this way, you will know the budget you’re working with). If you don’t have a preferred financial institution, contact us and we’d be happy to recommend one. Once you have a signed contract, you’ll present that to your financial institution, and they will build your mortgage, including the value and payment schedule, based on that contract. At the stage when the money reaches Pine Creek’s lawyer, the lawyer will hold back 7% of all payments as per the builders lien act. This is for the protection of the client in the event that a builder didn’t pay one of their trades and a lien was put on the property. At the time of possession, the homeowner would sign a document saying that the project is complete. There is then a 40 day waiting period before the 7% is released from the lawyers. If you have any further questions regarding financing for your custom build, please don’t hesitate to contact us. If you’re ready to take the next step toward building your dream home or cottage, click here to set up a time to speak with us. And, if you haven’t yet signed up for our email series, you can do so in the box below. The series will take you through a step-by-step guide of the building process, so you can be fully informed and prepared for your upcoming build.